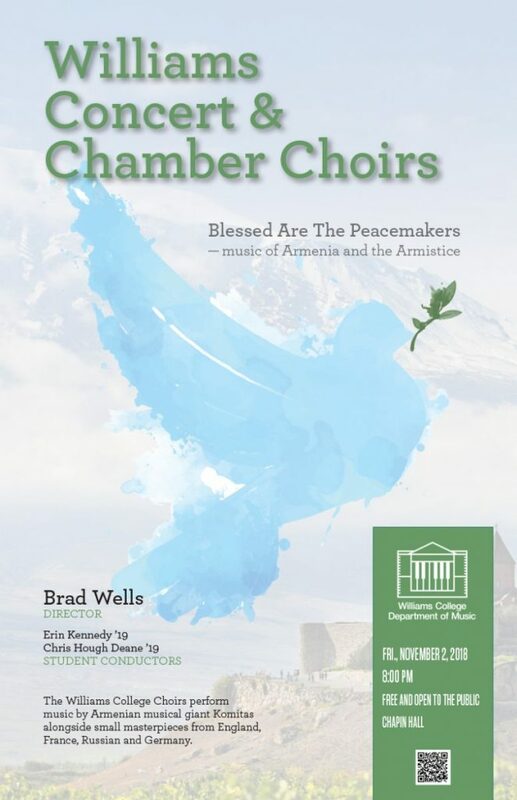 Williams Concert Choir and the Williams Chamber Choir conducted by Brad Wells present Blessed Are The Peacemakers – music of Armenia and the Armistice. 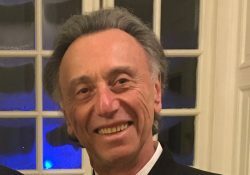 One hundred years after the end of World War I and The Armistice of 1918, the ensemble considers music by composers from England, France, Germany, and Russia. Also on the program is music from Armenia, in remembrance of the suffering and genocide that followed in the wake of the Great War. 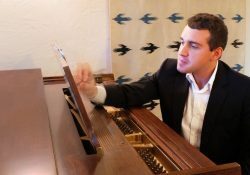 With a special focus on Marian music, the ensemble puts words to eternal messages of peace. Williams College has long had a fine tradition of music performance in its choral ensembles. Director Bradley Wells has helped that tradition flourish. 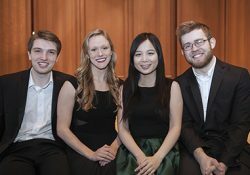 The choral program has much to offer students interested in singing, with a number of performances throughout the year, a wide range of repertoire, recordings and tours.